The TESS telescope, which is set to launch on April 16th, is NASA's next step in exoplanetary discovery. The satellite will "replace" the Kepler spacecraft and is set to be one of the most powerful telescopes available to astronomers in their search for habitable exoplanets in our corner of The Milky Way. Due to launch on April 16th aboard a SpaceX Falcon 9, NASA’s new exoplanet-hunting TESS telescope is undergoing final preparations for launch. Focusing on the nearby star systems that Kepler first scanned, the TESS telescope will usher in a new era in the search for habitable, extraterrestrial worlds. After nine years of scouring the sky and discovering thousands of exoplanets (and exomoons), the Kepler telescope is nearing the end of its mission. NASA expects Kepler to run out of fuel and stop communications by the end of 2018. In case you’re wondering, we can’t refuel Kepler and keep the mission going. NASA has deliberately put Kepler in an orbit around the Sun, away from Earth and the Moon, to ensure optimum conditions for the mission. At a distance of over 90 million miles, Kepler is far out of Earth’s reach and, once all the data is recovered, will be abandoned in space and remain in orbit around the Sun. Although the demise of the spacecraft is the end of an era, at least it won’t fall back to Earth like the Chinese satellite Tiangong-1. However, the end of Kepler doesn’t mean the end of NASA’s exoplanet discovery adventure. After passing a successful review on March 15, NASA is setting out to launch a new spacecraft to replace the soon-to-be-retired Kepler. Known as TESS (Transiting Exoplanet Survey Satellite), the telescope will be placed in orbit by a SpaceX Falcon 9 rocket on April 16th. The rocket will launch from Cape Canaveral Air Force Station in Florida with some lunar gravity-assist. The TESS telescope will give new impetus to the search for extraterrestrial worlds and will look closer at the more nearby star systems already cataloged by Kepler. As TESS follows up on Kepler’s work, the James Webb Telescope will take the next step after TESS finds strong candidate worlds during its mission. 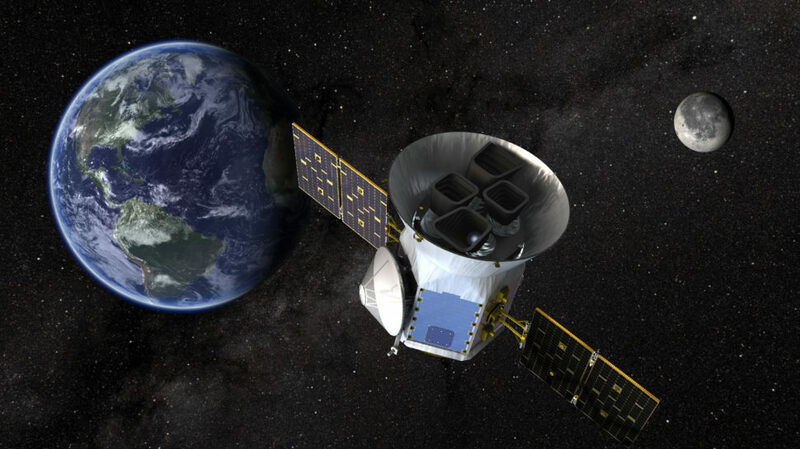 NASA experts expect the TESS Telescope to carry on with Kepler’s work and detect thousands of other Earth-like and super-Earth sized exoplanets. While also relying on transit photometry like Kepler, the TESS telescope is more technically capable as it will use spectroscopy to collect more data about a planet’s potential habitability. TESS also has a much wider field of view than Kepler with its four wide-angle cameras that enable it to survey 85% of the sky in the first two years of its mission. These cameras will mainly focus on 200,000 bright stars within a 300 light-year radius from Earth. In reality, the mission of TESS will only be the first stage of a bigger endeavor involving other missions and hardware. TESS will narrow the target field for future missions. As we mentioned, the upcoming James Webb Space Telescope will take TESS’s refined list of candidate exoplanets and attempt to determine their composition. Do you think the TESS Telescope has the potential of being a milestone in the search for extraterrestrial life?